Comparing and contrasting two very different cars. I’ve loved cars for as long as I can remember- but that goes without saying, otherwise why would I bother writing on an outlet called “That Automotive Blog”, right? I appreciate most makes and models, and I don’t draw the same lines between different types of cars that a traditional enthusiast tends to do. I’m not just talking about comparing cars of different classes, such as a luxury saloon and a sports coupe. I’m talking about comparing cars of different classes, from different eras, that would otherwise have nothing to do with each other. I thought it would be interesting to compare two very different species of the automotive jungle for this article, and my choice of the two cars couldn’t be any more different at first glance (besides one external similarity). The cars in question are a modern day Miata, and a Chrysler 300… actually a 50 year old Chrysler 300. Bear with me here for a second, and let me take you for a ride on my train of thought. This Chrysler 300 was manufactured at the Newark Delaware plant in the fall of 1964 to be sold as a ‘65 model. While it’s not one of the more popular cars of the same era, it does possess the genes of the luxury-muscle cars of that era. What you see in the photos is a 52 year old, all original car. Besides a few minor bits, the drivetrain and interior are mostly original. With a 218” overall length, the Chrysler falls into the land yacht status, weighing nearly double the Mazda at around 4,200lbs. Piloting the big Chrysler couldn’t be more different than the Miata. You don’t park the car, you dock it, as maneuvering between the confines of a parking space is more of a chore than a second nature interchange. Steering feel is on par with a Craftsman lawnmower, as it’s nearly non-existent. The phrase “one finger steering” definitely fits with this car. There isn’t anything groundbreaking with this model regarding tech. It still retains its points-based ignition system and factory AM radio. Even reverse lights were an option for this year. Although guiding the car through slow traffic isn’t the greatest experience, cruising on the highway instantly makes you forget about those moments. The car simply putts along with a delicate rumble. Passing power? No problem, open up the secondaries of the 383ci V8 and carry on. Despite being a big block, accelerating doesn’t cause a deafening roar, nor do my eyes get peeled back into my sockets. Instead, it lets out a gentle growl and does its thing but in a subtle way. Sure, the bias-ply tires squeal when pushed hard or when the car wallows, but that’s the way cars were back then. These ancient qualities become more apparent when it comes time to stop. One essentially needs a runway to slow down in time. On that note, one needs to allow an extra 10 minutes when traveling to your destination. This is not a car to rush around with. None of that is the case with the Miata. My particular car is a third generation version, also known as the “NC”. These were produced from 2006 to 2015 with minor changes throughout their life cycle. Despite its extensive shelf life, I still find ways to enjoy this car whenever I get a chance to toss it around. The design just works, and if I were to come up with one word to describe it, it would have to be “cohesive”. The front fascia looks as if the designers intended to mimic the driver while they are busy annihilating the backroads. As one would expect from driving a Miata, it becomes clear the car was strictly built to be gratifying. Where the Chrysler has no road feel or steering feel the Miata supplies those aspects in spades. Even though there is only 167 horsepower between the front fenders, it feels as if there is a touch more lurking under the hood. The low curb weight and low ride height surely contribute to this visceral feeling. Another trait that (greatly) differentiates this car from the 300 is how the car behaves in the canyons. Miata’s sweet spot is along a curvy back road pushing the car slightly more each corner. The highway is doable, but can eventually cause fatigue, although having the top down does soothe the pain quite a bit. This Club model is equipped with Bilstein shocks and an LSD. These extra bits enhance the driving experience while not providing a teeth rattling ride. This particular model has the 6-speed manual transmission, as all Miata’s should be required to have. Gear changes are short and direct, and the pedals are placed in a manner that allows one to move around them with no hassle. Pushing the Miata through a tight turn exhibits great confidence as there is plenty of grip without much hint of breaking loose. These traits along with superior reliability and low ownership costs are why Mazda has been able to sell a million of these little cars over its lifetime. Now at this point, you may be thinking to yourself “dude, I haven’t read anything so far that I didn’t expect- how are they similar?” Well, after extensive driving in both cars it became apparent that they do share some similar qualities that are skin-deep. We live in a day in age where technology outweighs everything else. Today’s cars, even base models, continue to be burdened with unnecessary gadgets. Both of these cars are refreshing in a way that they avoid all of those things. No back-up cameras, touchscreens, multiple ride settings, etc. The simplicity in these cars is actually what makes them more appealing. Presently, auto manufacturers celebrate their complex infotainment systems, as opposed to driving dynamics and suspension tuning. Even though the Miata is only a few years old, it somewhat shares a level of simplicity that can also be observed in the Chrysler. The Miata and Chrysler do not pretend to be anything other than what they are. Both cars were built with a mission. The Miata purely exists to be enjoyed. Every year somebody ups the ante with more and more horsepower. Of course, the Miata won’t lap the Nurburgring in under 7 minutes, but it was never intended to. Unlike most news cars, Miatas have always had a simple uncomplicated design and the NC is no exception. The Chrysler is like the stubborn old man in the room that’s been around the block a few times. He doesn’t care about some of the new technology and surely doesn’t care to adapt to it. The Chrysler was built to transport its occupants in comfort, not blast the ¼ mile in 12 seconds. Like the Miata, it’s not over styled or busy in any way. Keep in mind that the Chrysler was made during a time when cars changed significantly from one year to the other. In my opinion, Elwood Engel did a terrific job with the ’65 Chryslers, essentially creating a timeless classic (no bias or anything). Even the ads of the time daringly claimed it to be the most beautiful Chrysler ever built. It’s almost as if one just can’t live with either one, and owning both cars is the only way to appreciate what the other one may lack. Depending on the occasion, each car can provide a different experience over the other. Somedays I may prefer a leisurely drive in the Chrysler. Take my time, have the windows rolled down, relax my arm on the low beltline. I get a great sense of appreciation knowing this car has been chugging along for half a century. Everything feels mechanical but not in a rough way. If this old Chrysler could talk I could only imagine the stories it would tell. Not knowing much of its history only emphasizes this curiosity. Being mostly original, the car oozes character in a way a modern car can never match. The charisma alone is just one reason why I recommend any car enthusiast to own a classic car. Other days I may want to blast the rural backroads in the Miata. Where the Chrysler makes me smile, the Miata can make me giggle. Exploring its handling capabilities on the perfect road with the top down and radio off is a fantastic experience. I can feel that everything is working in harmony, nothing is artificial. The Mazda may not have quite the charm of the Chrysler but the sheer enjoyment makes up for it. Driving two extremes of any automobile is a great experience and really makes one appreciate cars in general as well has how far they have come. If only there were more modern cars that could match these simple traits. Where the Chrysler is a dinosaur, a car like the Miata is on the endangered species list. Simplicity and driving involvement will soon be extinct as buyers demand more unnecessary tech. I will continue to enjoy these two distinct automobiles while I can, and perhaps in 50 years, I will still be cruising in the big Chrysler and tearing up the twisty roads in the Miata. Unlike Suren, I hail from the other side of the states. I've loved cars since I could see over the dash of my dad's Trans Am. My high school driver's ed teacher actually called my mother to warn her of my bad driving habits. I have been through many vehicles, most of which ended up totalled or close to it, that is until I started getting older and wiser. How I'm not dead yet is beyond me, as I've been in many horrible accidents. Guess I gotta just keep trying! I started off with a 1987 Prelude with a purple neon light in the front grill and two Orion 12s behind the flip down seat. Neon lights were new to the scene, as this was at least a decade before Fast and Furious came out. If I continued to detail out all the cars I've owned, we would be here all day, so I'll leave that for another time. After many cars, I got out of the car scene when I got married. Since then, it was difficult to find a car that was worth writing home about. It wasn't until 2011 that I purchased a brand new Mitsubishi Evolution GSR, unbeknownst to my wife at the time. That went over just as expected, and she moved out... my first victory with the Evo! And while I may not have won many races with it, I did participate in quite a few, and I did have a blast with that car. Once I made the decision to give up racing (due to circumstances beyond my control), I had to make the decision of what my next carriage would be. Starting off, I intended on going the Doug Demuro route and buy something from CarMax, mostly because of their warranty. I spent a good day going through a number of cars on their web-site, including but not limited to BMW Ms, AMG Mercs, and a couple of Jags. I was looking for something older, something that has depreciated enough to warrant the purchase. It's ridiculous what you can find in the $25k to $30k range nowadays. I mean, look at this ‘05 SL55 AMG at only $25,000. Keep in mind that this car once cost over $60, and can still show up a number of today’s sports cars with its 5.5l V8. 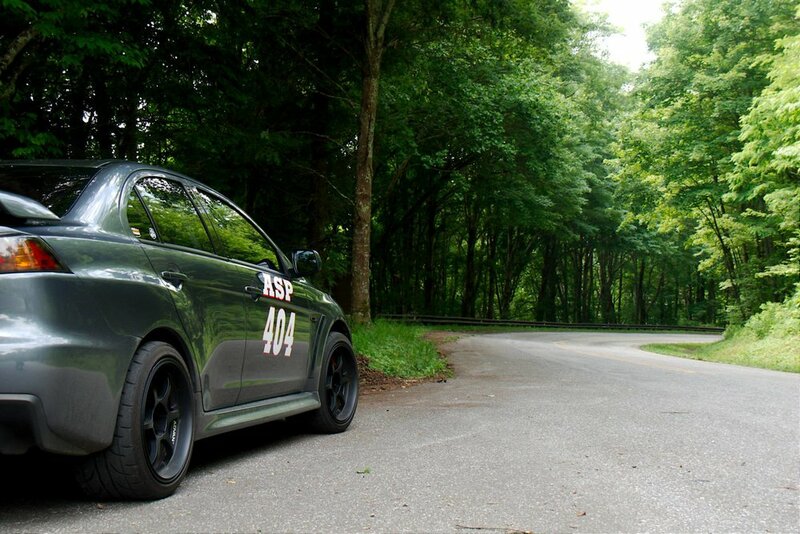 I was hell bent on buying something stupidly unreliable just to take advantage of the warranty, and part of the reason why I wanted the warranty was because I was switching over from a Lancer Evolution. Anyone who’s owned one knows that the warranty is about as good as the interior, and if you as much as use an unauthorized air filter, the dealership will do their best to screw you over on warranty work. Then the light bulb flicked on, and I remembered a Jalopnik article about the poor man's Porsche 911. Yes, Suren... it IS a 911 no matter how much you want to deny it (which he denied in this article). I started my research, as the Evo taught me many valuable lessons, one of which was the importance of doing your damn research before you buy anything for a car! The Evo was my first sports car in a long time, but now that I’m divorced (talk about more lessons learned), I figured why not get another.. Owning a 911 is definitely a bucket list item, considering I can't afford a Ferrari or Lamborghini. After much research, I knew what I was looking for. It had to be the pre-facelift 1999 model Carrera, it had to be rear wheel drive, most definitely did not want another turbo, most certainly had to be manual, and I didn’t want a sunroof. Before I go into the reasons for these decisions, let me disclose that my beater car is actually my dog's 87' E30. Simba, my loving dog and best friend I got from a rescue, will throw up in any vehicle unless it's an E30.... no kidding. I love my E30 because it's very simple. Night and day difference between the Evo and the E30. Although my Evo was reliable, there is a certain paranoia that goes along with daily driving a $35k car with more electronics than is needed to send a man to the moon. I settled on a 1999 for a number of reasons: It was the one year model that didn’t get any of the useless electronic gadgets (such as using cables instead of wires to open the hood and decklid). It was also one of two years with a reinforced bearing, you know that thing Suren changed that he didn't need to? I didn't want a turbo or 4wd, because again... gotta keep things simple! I wanted a vehicle that was powerful enough to kill me, all the while not having the controls to stop me from doing so. Another advantage of not having these options is the weight loss, as the Evo was a pig no matter how much the electronics try to fool you. Suren hit the sunroof on the head; it's extremely rare. I still have a hand crank sunroof in my E30, so I don't have high expectations. Then there’s the manual transmission... do I really have to explain that? With the options decided, I needed to think about the wear and tear. I had to stop and consider how many miles would be good for a 17 year old European vehicle? Low mileage usually means the car was a garage queen, and cars that sit are about as much of a gamble as cars with tons of miles. On the other hand, I didn't want it to have too many miles, because that leaves you to wonder whether or not the car was maintained properly. With being pretty lenient on the color of the vehicle, I began my search. Given I was adamant about my options, I opened the search to a 500 mile radius. Even though I wasn't familiar on long distance purchases and transportation, I still went head strong. Day one, had one in Texas and one in Florida fall through. Day two, faith knocks on my door. While downing my morning caffeine and searching for the latest listings, I finally found what I was looking for! She was not more than thirty minutes away, and was at a very well known dealership. How did this happen on day two of my search is beyond me, but rather than question it, I just decided to be thankful! 1999, two owners and a ton of service history at 62k miles... with the aero kit! Damn beautiful in this color, and paint was well taken care of for a 17yr old car. Having done my research (unlike Suren) I knew I needed a PPI (a.k.a. a pre purchase inspection). I found a nearby Porsche mechanic to do the PPI, which in hindsight missed a couple of things... nothing like Suren's nightmare though. The PPI revealed that the two brake rotors and pads needed to be changed, broken horn button, and coolant change required. During my search for this 911, I did notice that no one would negotiate on price like a typical run of the mill vehicle. I took this to my advantage, and had everything fixed/replaced with original OEM equipment. Keep in mind, I still haven't seen this 911 in person nor driven it. I just knew it was meant to be, kinda like prom all over again. Now to deal with all the paperwork before I could get her to the motel at the end of the night. Prom night was successful! I had a great test drive before I had to do the dirty work to get her home. This 996 911 is mind blowing in my opinion. However, I may not be as spoiled as Suren. I've never driven, nor been in a Porsche before. Stay tuned for my review and experience of the 996 911! Make sure to join our Tribe! Mark's Badass Targa Newfoundland Race-Truck. Suren's Mazda Miata NA "Whatever Cup" Project. Official Teaser Released for Season 1 of "Journey to Pikes Peak"
Lack of Posts in 2017, upcoming YouTube channel, Pikes Peak, openings for Freelance Writers, and More! Crazy Ivan's Porsche 911 Experience: Part 2. Buying and Owning a Porsche 996 Carrera: Dyno Testing, Road Trips, Autocross, and more. How Well Does The 3M Headlight Restoration System Work? Going over the 595 RS-R.